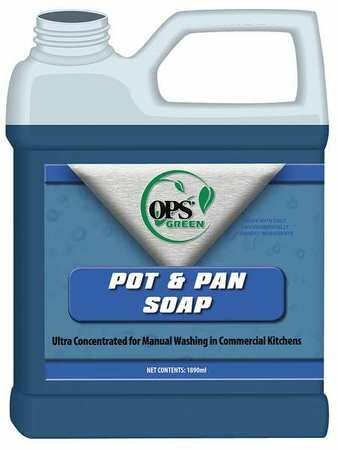 Ultra Concentrated Pot and Pan Soap, Form Liquid, Size 1890mL, Container Type Cartridge, Fragrance Floral, Color Blue, Contains Ultra Concentrated Cleaning Agents, Recommended Dilution 1:1920, RTU Yield per Container 960. If you have any questions about this product by OPS, contact us by completing and submitting the form below. If you are looking for a specif part number, please include it with your message.